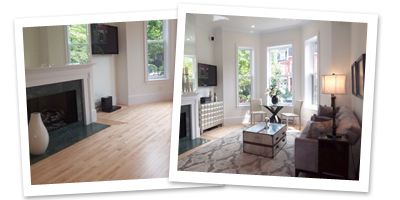 Home Staging has become an important aspect of the Real Estate Industry. Staging is the process of transforming your home into a comfortable and inviting environment in preparation for sale regardless of price or location. Staging is not about spending thousands of dollars to redecorate your home. Instead, it may include re-arranging furniture, updating accessories, and painting walls to improve the look and create a warm feel in your home. When your home goes on the market, buyers will be comparing it to similar competing inventory. The ultimate goal of staging is to sell your home as quickly as possible and for the highest value in today's market. We will maximize your market presence by skillfully enhancing your home's best features. We can make your home stand out from the competition! A staged home stands out from the rest and puts you ahead of the competition.